I know some of these pictures are not very clear and bright, but Presley was such a big helper while I was doing my caning this year I couldn't not post them. I usually do a lot of canning, but this was just a busy time for me this year and I just got done what I could. 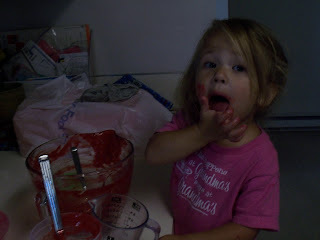 I had to do Raspberry jam because it's our favorite. I spent most of my time eating the raspberries while I picked, but eventually after a few trips to brenda's raspberry patch and several sweat hours, my berries were picked and ready to go. I had the rare opportunity this year to try white raspberries, yep white. I had never heard of such a thing, but they are to die for. They were so good we just kept eating them, they are sweeter than reds. I planned on making a jar of just white jam, but I'm afraid more ended up in our bellies than planned and we didn't have enough, so we just mixed them in. Taylor was such a good helper at picking them, wish i would have had my camera on me. She was picking for quite some time and I had the bucket by me, so i said, " Taylor you need the bucket for all those berries yet?" 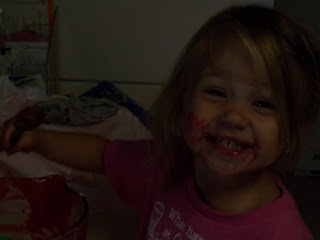 She replied, " Oh Mom, these raspberries are just so good I can't stop shoving them in my mouth!" So cute. Picking and eating. 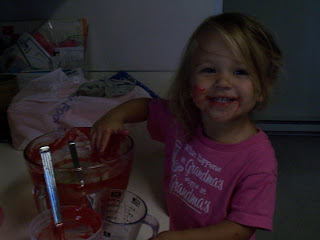 Now that both older kids are in school Presley is my daytime helper, and she just looooved making jam with me. She is quite the crack up, always making us laugh. 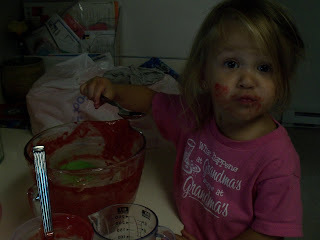 The jam was a success, oh so yummy. 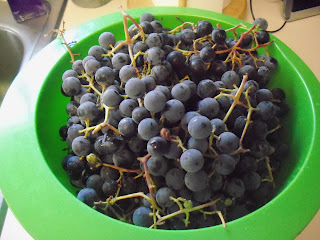 My next canning project was grape juice. 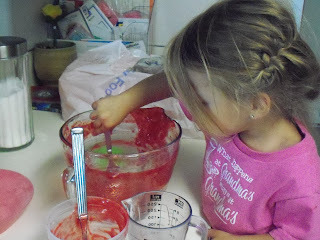 This can be tricky process, a messy one, but We love it, so we can it. Wash, steam, extract, bottle. That about sums it up! 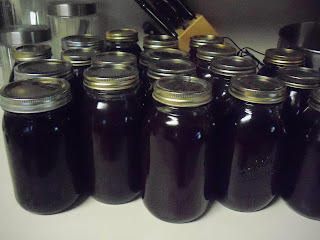 I made 30 jars this year, and it is so good. There is nothing like homemade grape juice. I remember as a kid sitting next to the fence at the bottom of our driveway eating grapes off the overgrown vines from our neighbors yard. mmmm. I learned a new trick this year while doing grape juice. 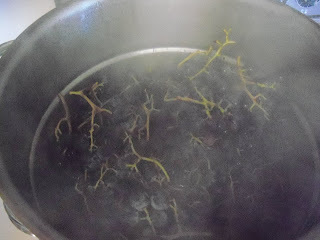 Instead of adding sugar when you mix it up right before you drink it, I sprinkled sugar over the grapes while they steamed. I think this worked so well. The juice is already sweetned when bottled. Look at you, Susie Homemaker!! I don't know if I've ever had homemade grape juice before...maybe you'll have to invite me over one day and crack open a bottle! wow..tha'ts a lot of juice...cool! drink some for us...and jam up a nice piece of toast too! way to go! presley looks just like taylor..her little cheeks have filled out just a tad! cute! You know how to make a girl homesick don't you? Looks good.